Everything. Location, apartment, view, proximity of of the old Marbella town. Loved this place...our sea view, the rooftop pool, the location... our room... we will be back next year and stay longer. Have stayed here many times and the apartments always live up to expectations. Spotlessly clean and friendly helpful staff. Close to the Old Town and beaches and restaurants...and if the weather is bad as it was this time we stayed the facilities in the apartment are perfect if you want to stay in and eat. 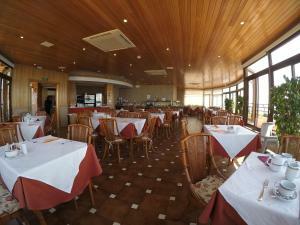 Friendly staff, close location to the sea and old part of Marbella, restaurants and shops. Great location, perfect views, great layout. Staff was helpful and attentive. Fantastic location. Lovely room. Great value for money. 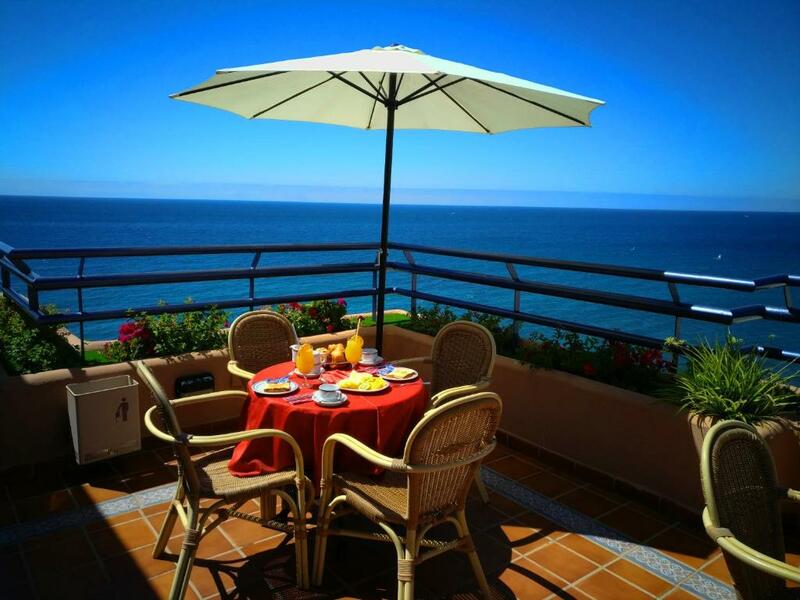 Lock in a great price for Hotel Apartamentos Princesa Playa – rated 8.5 by recent guests! Hotel Apartamentos Princesa Playa This rating is a reflection of how the property compares to the industry standard when it comes to price, facilities and services available. It's based on a self-evaluation by the property. Use this rating to help choose your stay! The studios and one-bedroom apartments at the Princesa Playa have a private terrace, air conditioning and satellite TV. They also have a kitchen with microwave. Hotel Apartamentos Princesa Playa has a terrace bar with Mediterranean views, where breakfast is served daily. Gluten-free breakfasts are available on prior request. There is also a lounge with board games. Nearby Marbella center offers shops and restaurants, with a supermarket located 800 feet away. Tennis, horse riding and golf can all be found nearby. 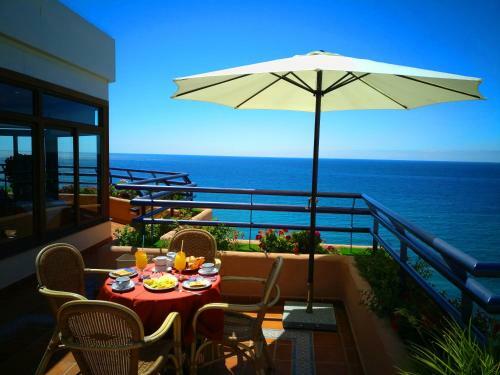 There is a bus stop next to the hotel, and Puerto Banús is less than 10 minutes’ drive away. You can walk there along the charming seaside boardwalk. 뀐 Located in the real heart of Marbella, this property has an excellent location score of 9.4! When would you like to stay at Hotel Apartamentos Princesa Playa? This air-conditioned studio features one double or 2 single beds. Double beds and sea views will be allocated upon arrival and are subject to availability. This air-conditioned apartment features one double bedroom or one twin bedroom. El Hotel Apartamentos Princesa Playa destaca por su excelente ubicación (Paseo marítimo de Marbella, frente al mar mediterráneo) y la tranquilidad que se respira en el mismo. El trato del personal es familiar y podrá sentirse como en casa. Ofreciéndoles toda la información que los clientes requieran para hacerles sus vacaciones inolvidables. Debido a su ubicación, tendrá oportunidad de degustar los distintos platos típicos Malagueños que ofrecen los restaurantes de la zona (fritura de pescado, espetos de sardinas, etc…). También si lo desea y al disponer en las cercanías de varios supermercados, podrían preparar alguna comida en la tranquilidad y relajada intimidad de su apartamento. House Rules Hotel Apartamentos Princesa Playa takes special requests – add in the next step! Hotel Apartamentos Princesa Playa accepts these cards and reserves the right to temporarily hold an amount prior to arrival. Please note that due to limited space, bicycles are not allowed in the property. Guests with reduced mobility can request up to 2 electric scooters, prior approval required. Please note that the credit card holder must be present upon arrival. If you are not the owner of the credit card used to make the reservation, you must present a copy of the credit card and a copy of the credit card holder ID. Please note that apartments include a daily cleaning service of the apartment, except the kitchen. Double beds and sea views will be allocated on arrival and are subject to availability. Please note that safety boxes are available for a surcharge of EUR 2.75 per day. Position great. Rooftop pool lovely. Room comfortable. location is very good.Our balcony view (from the 7th floor apt) was impressive. No seaview balcony in the sun this time eighter. That was the whole point with the trip. The room was good enough ,but as usual no balcony with seaview in the sun. Only sun til 11.15 in the morning. I ask for balcony in the sun every time. Overall product was very good and staff very friendly. It was very well cared for. The bed was comfortable , the balcony was excellent and the room was very clean ! Sitting areas round hotel lobby etc were delightful ! Check in, enjoy, check out - there is NOTHING to complain. Even free parking slots in front of the house. But keep in mind, that this apartment is just a perfect headquarters - you have to move to the action (Malaga, Rincon de la Victoria, Torre del Mar, Granada). If you are familiar with this area, have plans for activities and want to have a perfect headquarters - choose this apartment. The owner communicates pro active, is willing to do the check-in even on midnight and says hello with two beers in his hands. You won't find another fully equipped apartment in that price range around. Perfect for a couple or a family of four.